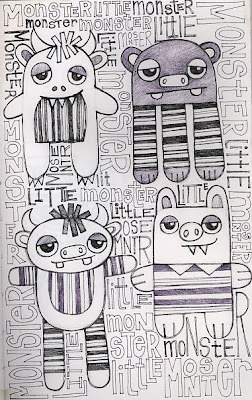 it's been a while since i made anything for the boy (other than meals), so i was thinking about making him a stuffed monster for his birthday (even though he already has a plethora of stuffed toys). i've got more than enough scrap fabric, the trick is finding the time. perhaps if i start now i'll get it done in time for his second birthday.